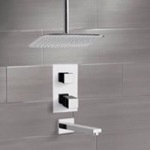 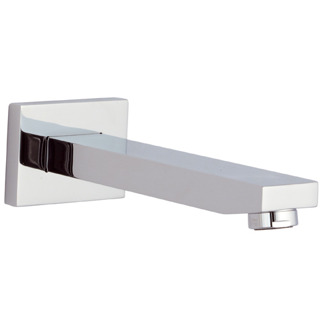 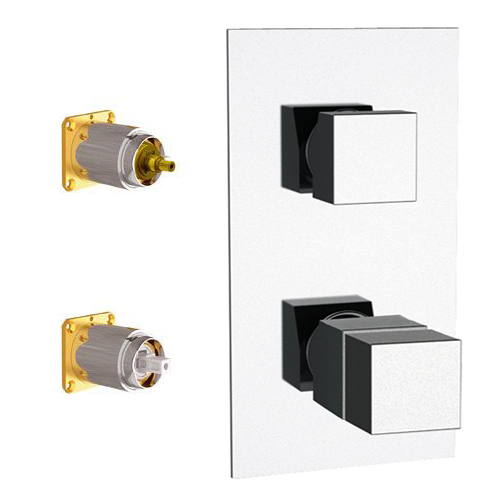 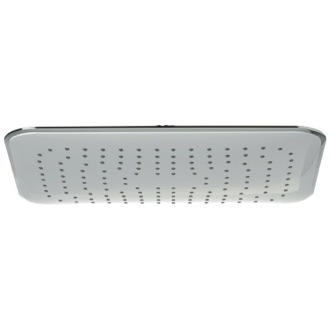 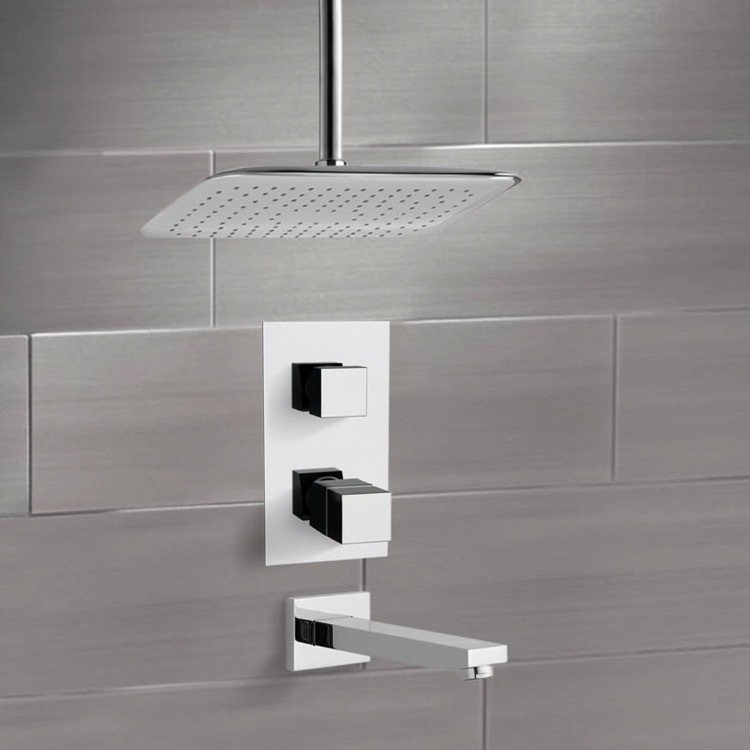 The Remer Peleo thermostatic tub and shower faucet set is a perfect choice for your bathroom. 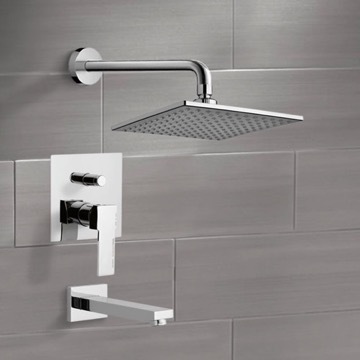 Constructed out of brass and ABS and with a ceramic disc technology, this tub and shower faucet set includes a beautiful 10" rain shower head and a tub spout in a chrome finish. 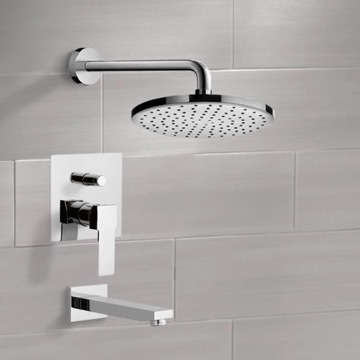 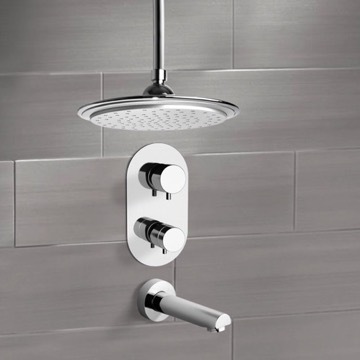 Equipped with a pre-set maximum temperature and an anti-scald device, this tub and shower faucet sets the standard for safety and comfort in the shower.